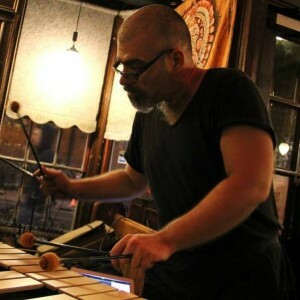 Istanbul based vibraphonist, composer, educator and bandleader, regularly hosting sessions at Nardis Jazz Club, The Badau and many jazz clubs and playing his own band “Can Tutuğ Quartet” and other bands: Eren Akgün Quartet, Organic Vibes Trio/Quartet, Sanat Deliorman & Can Tutuğ Duo, Kaan Bıyıkoğlu Quartet, MONK Trio w. Çağdaş Oruç and Andreas Metzler. I have a 3 Octave Mk6 Birch Xylosynth. For samples I use my Macbook (with the MIDI ports) and the iPad with the Behringer is202. And the software is Pure Jazz Vibes by Orange Tree Samples. The results are consistently realistic. I’m making performances nine or ten nights in a month. 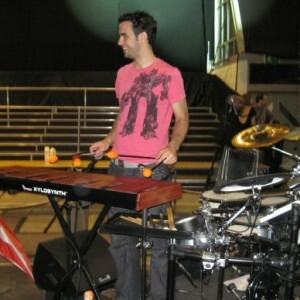 With it’s case the Xylosynth is the best solution for gigs! Musician colleagues have commented that they could not tell the difference between the sounds from the module(s) and the real instruments, especially when coming from the orchestral pit and the look of the Xylosynth is almost like the real thing (apart from the resonator tubes). 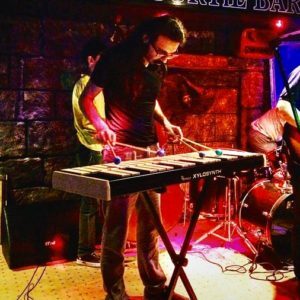 USA born freelance percussionist based in San Diego, CA. I have a ‘special’ Honduras Rosewood 4 Octave Xylosynth plugged into a MOTU 828 audio interface which is then plugged into a MacBook pro with firewire. I also use an Akai APC40 and a Roland Octapad with Wernick drum pads! I started to play drums at 8 years old. At age 20 I completed my military service with the military band of Austria where I discovered my passion for mallet instruments. Beside the music I am also working as a software engineer. With the Xylosynth I can combine technology and music and that’s why I love this instrument. 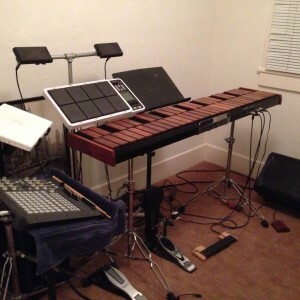 I’ve have a 3 Octave Bubinga Xylosynth and have been using it mainly as controller for Ableton Live and Kontakt. In the Björk live show I played Beatbox sounds, Harp sounds and various Synths with it. I’m planning to use it for Synth Basses and other samples in my own band ‘Manu Delago Handmade’ as well. Between my bands and Bjork tours I have instigated the purchase of 4 Xylosynths, the latest being a new XS7s 4 Octave Blond Birch Special for the new Bjork tour this summer (2018). 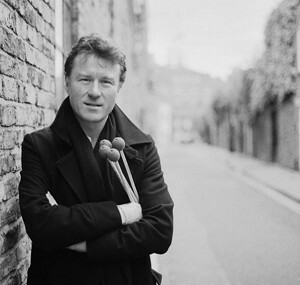 Belfast born Vibraphonist, Educator, Composer. I have a 4 Octave Bubinga Xylosynth. These days I connect my Xylosynth to a MacBook Air running MainStage 3. The built-in sounds are excellent and varied and can be edited with ease to be made more suitable for a mallet controller. Also I have been experimenting with the Infinity Looper loop pedal from Pigtronix which opens up worlds of creative possibilities. 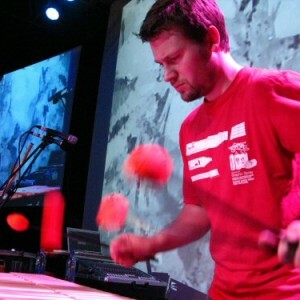 Italian born Vibraphonist, Electronic Percussionist, Composer, Arranger, Educator. Currently I’m using a software-based rig tailored onto Cubase for studio work and Reason for live work with my 3 Octave Birch Xylosynth. I’ve tried several vibraphone and marimba related sound libraries through the years and the best ones that work for me are Art Vista Cool Vibes and Soniccouture Vibraphone. After a little tweaking, they both deliver a very realistic and comfortable playing experience. The Sampletekk Marimba library is also a favourite of mine. Other synth, keyboard and percussion sounds come from various sources including Steinberg’s Halion Sonic. For live performances I use a MacBook Air i5 with a Focusrite Scarlett 2i4 sound and midi interface, while in studio I have an old M-Audio 1814 interface connected to a Quad Core Desktop PC. 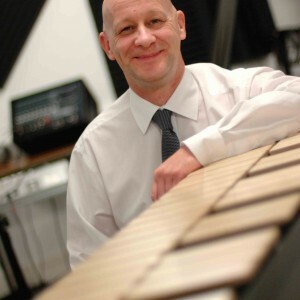 UK based composer, percussionist, arranger, musical director, publisher, manager and educator. 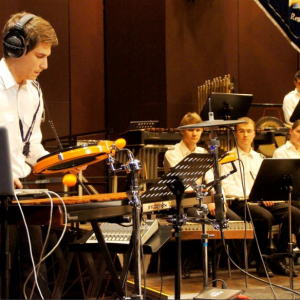 I am an active member of the musical community, especially composer (BASCA) and percussion (NAPT) organisations. I have a 3 Octave Birch Xylosynth. For samples I use laptop, Mbox (with the MIDI ports) and the Structure software in ProTools. The results are consistently excellent. There have been a number of times when touring (especially abroad) that this set-up has been all I have used for the gig as the instruments that were hired in were not up to standard (or everything that was needed was not available). Musician colleagues have commented that they could not tell the difference between the sounds from the module(s) and the real instruments, especially when coming from the orchestral pit and the look of the Xylosynth is almost like the real thing (apart from the resonator tubes).